North Dearborn to Carr Rd to left On Brookestone Way to left on Greystone Dr. Sign on. 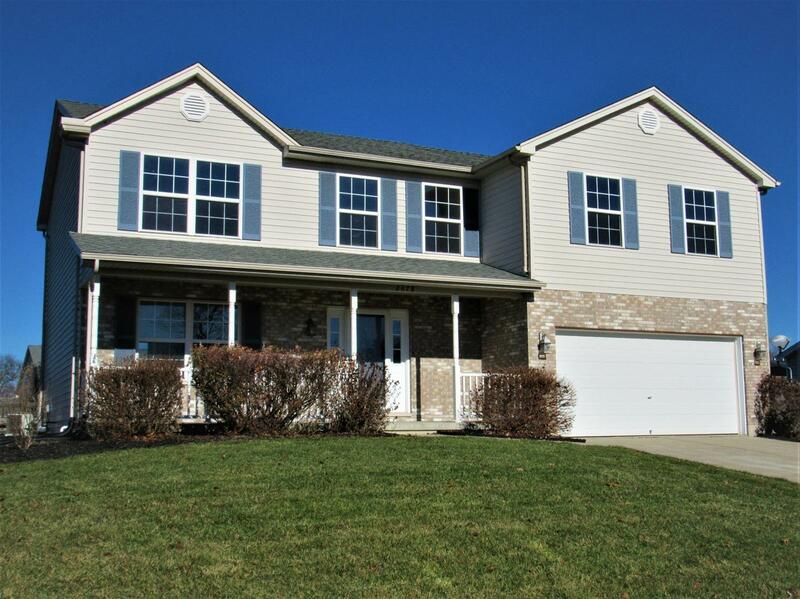 Remarkable, move-in-ready 5 BR 3.5 bath home with 1st flr laundry, quartz counter tops, SS appl, beaut laminate flrs, dual HVAC system, basement, tons of natural light, 2nd flr bonus room for office/nursery/rec room. Updated Master bath. Freshly painted. Newer mechanicals. New roof 2010. Large flat yard. Just minutes from I-74 and shopping!